The Girl Scouts of San Gorgonio Council Blog reports that since its inception in 1940, several generations of Girl Scouts have grown up with horse camp at Camp Azalea Trails. Most of the girls who attend the camp don't have any other access to horses. Twenty percent of them are foster children for whom the horses are an invaluable form of therapy. The relationships they build with these beautiful creatures helps them to overcome their shyness and uncertainty and mature into confident, responsible young women. Unlike private luxury camps, where it's just about putting on a saddle and going for a ride, the girls at Camp Azalea Trails must care for each horse's needs, from feeding and grooming to mucking and raking. They learn what it is like to be completely responsible for the well-being of these animals on a much deeper level. It's a unique experience they carry with them for the rest of their lives. 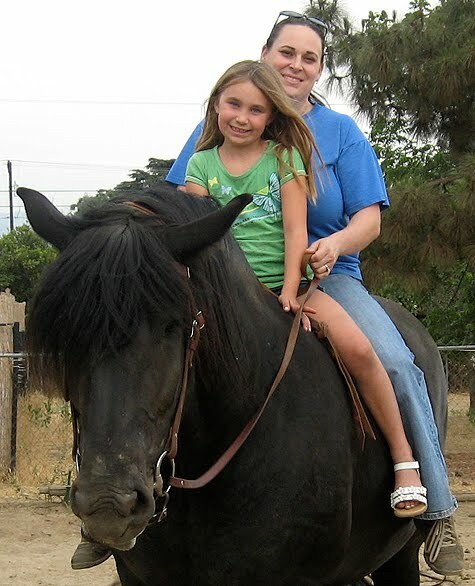 Thirty-four-year-old Meridith Rhea attended her first horse camp at Azalea Trails when she was in 5th grade. Today Meridith is a professional in the field of necropsy and works closely with the California racing board. She diagnoses illnesses and injuries suffered by racehorses and works to prevent them from spreading to others. How have your earliest Girl Scouting experiences shaped the person you are today?